Bed Buddy Herbal Natural soothes muscle tension and melts away aches and pains. 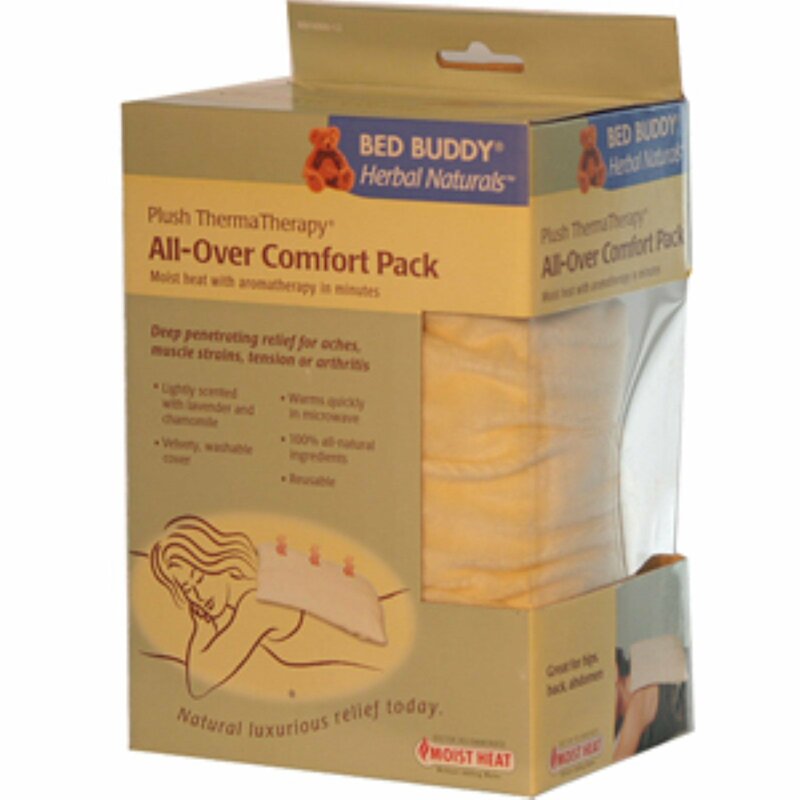 Simply microwave for deep penetrating moist heat ThermaTherapy that lasts up to an hour. Reuse it time and time again. The soft velvet cover is easily removed and machine washable. Aches, pains and tension in the neck, shoulders, arms, back, hands, feet and knees; stomach cramps. Place product in microwave and heat for 90 seconds. Carefully touch to test. If additional warmth is desired, continue microwaving in 20 second intervals. Do not exceed two and a half minutes heating time per use. Microwave heating times vary. Always test for hot spots and over all temperature before using. Consult your physician before use id any medical conditions exits or if pregnant. Do not use this product on person with nerve damage, circulatory problems, sensitive skin, damaged or broken skin; or on persons unable to remove this product such as infants, children, and some older persons. Review caution label before use. Do not remove caution label for the product.